Once again, you left a great impression with the grads and their parents. 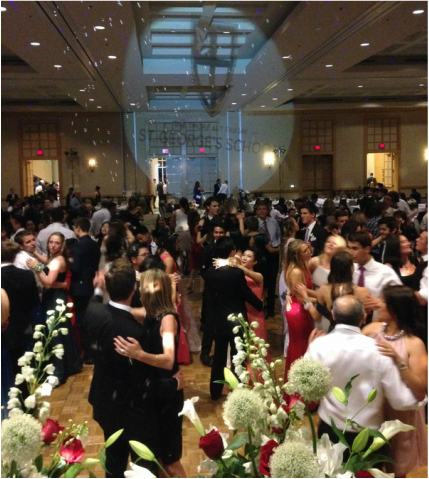 The choice of music was fantastic and I saw a number of grads bringing requests to you throughout the evening. I have heard nothing but good reports and know that your music and soundtrack to the evening was a big part of everybody’s enjoyment. Congratulations and thank you! School Event / Grad Party Specialists! We offer intelligent lighting that bathes your dance floor with pulsating light and energy. 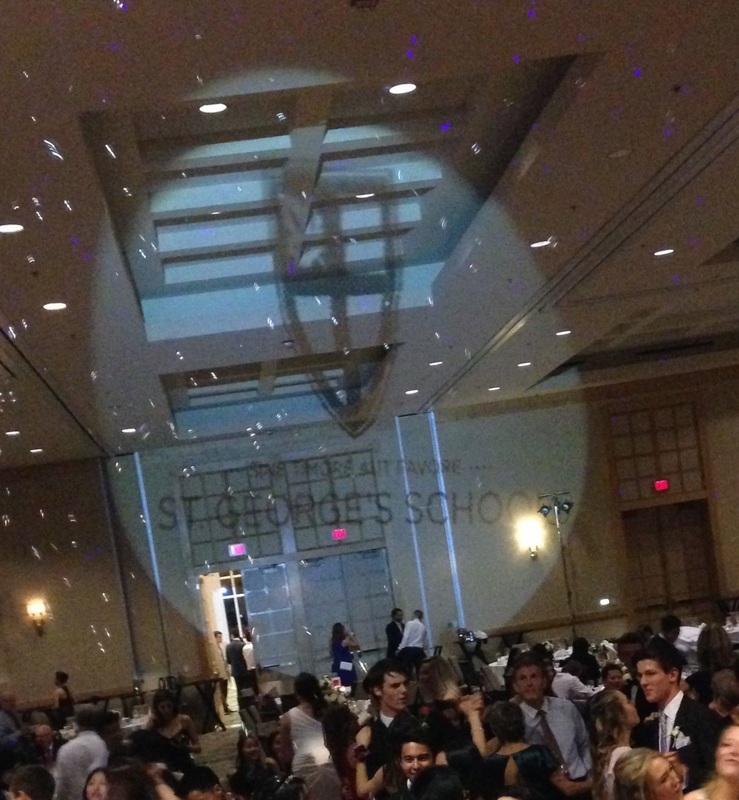 We can provide a 25ft tall custom made Logo Lighting effect showcasing your school or dance party theme! 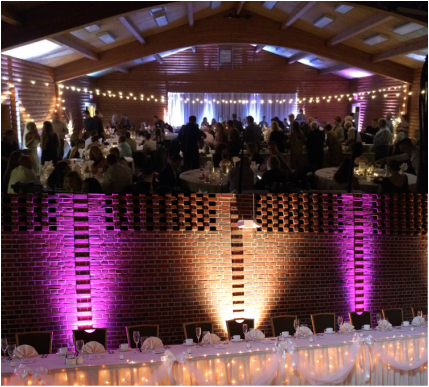 Even a plain old gymnasium can be transformed into a dynamic nightclub with First Class DJ Service! Do you want to transform your event into one everyone will remember and be talking about for years to come? 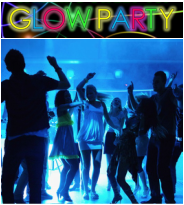 Ask about our Glow Party or Laser Lighting. They'll amp up the fun of an already outstanding event. Our GLOW parties are the BIGGEST and BEST in the Vancouver / Fraser Valley! First Class DJ is your area school event specialists.